Plating and pressing by Quality Record Pressings for seven LPs in the set (Tom Petty And The Heartbreakers and You're Gonna Get It are not QRP pressings). 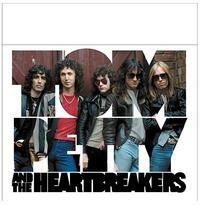 Tom Petty and the Heartbreakers are commemorating the 40th anniversary of their self-titled debut album by releasing two companion vinyl box sets featuring the Grammy-winning, platinum-selling band's entire studio album catalog via Universal Music Enterprises and Reprise/Warner Bros. Records. Since 1976, Petty & the Heartbreakers have been one of America's finest rock acts, combining the ringing guitars of the Byrds with the gritty rhythmic drive of the Rolling Stones, and making honest, unpretentious music. The Heartbreakers were a lean, tight band that could handle hard rock 'n' roll and melodic pop equally well. Petty has now charted albums in the Top 5 in each of his five decades as a recording artist. The Complete Studio Albums Volume 1 (1976-91) features nine vinyl albums including Tom Petty and the Heartbreakers, You're Gonna Get It!, Damn the Torpedoes, Hard Promises, Long After Dark, Southern Accents, Let Me Up (I've Had Enough), Full Moon Fever and Into the Great Wide Open. This limited-edition first set is due on Dec. 9. Quality Record Pressings is pressing all but two of the albums in the set — Tom Petty And The Heartbreakers and You're Gonna Get It. The Complete Studio Albums Volume 2 (1994-2014) begins with a two-disc edition of Wildflowers — Petty's first release after switching from MCA to Warner Bros Records (featuring the Grammy-winning single "You Don't Know How It Feels"). Also included are She's the One, Echo (a two-LP set), The Last DJ (two LPs), Highway Companion (two LPs), Mojo (two LPs) and Hypnotic Eye, which entered the Billboard album chart at No. 1 This box, featuring seven albums on 12 discs, is due on Nov. 25. Some of these albums have been out of print on vinyl for years. Each LP will be pressed on 180-gram vinyl, and will include replica artwork. All vinyl in box is 180 gram. 2. You’re Gonna Get It!